As the popularity of hammock camping continues to grow, the options for backpackers who have adopted the off-the-ground lifestyle continue to evolve and become more sophisticated as well. 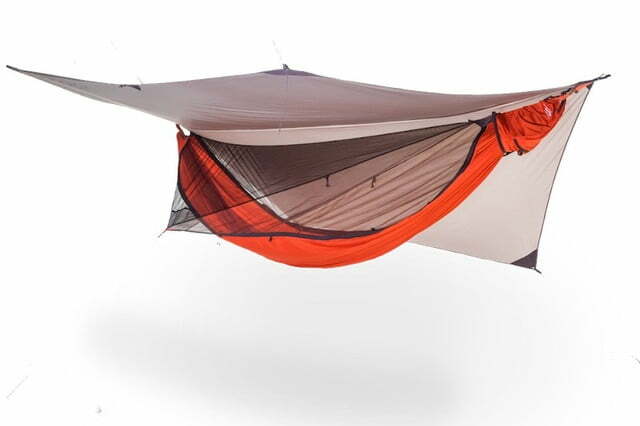 Take the new Mantis all-in-one hammock from Kammock. 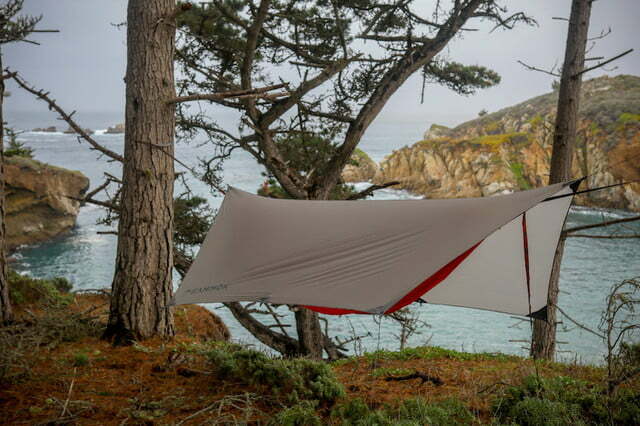 This new lightweight option, which just launched on Kickstarter, promises to deliver all of the shelter and amenities that come with a tent, along with the comfort that comes with sleeping among the trees. 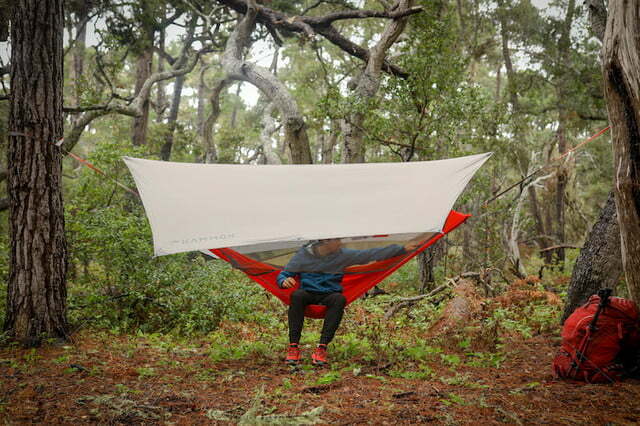 Billed as delivering everything you need in one simple package, the Mantis not only comes with a full-sized hammock capable of supporting up to 500 pounds of weight, it has all of the extras you need for a good night’s sleep, too. That includes a rainfly and integrated insect netting, as well as tree-friendly straps and a built-in stuff sack for storage. Kammock claims that it is perfect for all seasons, giving backpackers the ability to mix and match the various parts as needed to dial in the level of comfort they need to match the weather conditions. The Mantis comes in two varieties, the standard model and the Mantis UL. 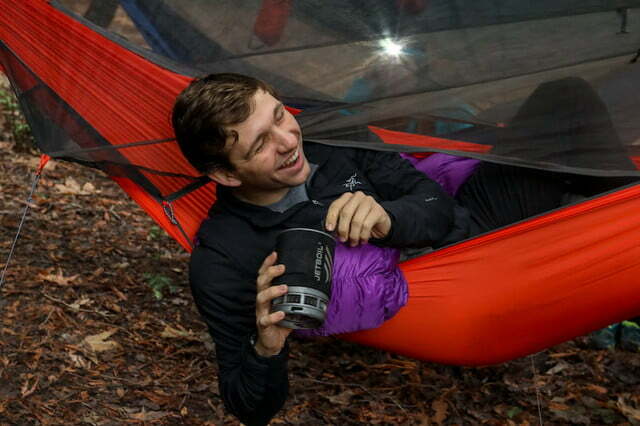 In this case, the “UL” stands for “ultralight”, as that version of the hammock tent clocks in with a trail weight of just under 2 pounds, including the rainfly. Meanwhile, the regular Mantis is no slouch in the weight department either, tipping the scales at 2 pounds, 8.5 ounces. The difference comes from the fabrics used in making the Mantis UL and its tree straps, which not only manage to reduce weight but maintain their strength at the same time. The team at Kammock is looking to raise $70,000 to get the Mantis into production and as of this writing, they are closing in on that goal with several weeks to go in the Kickstarter campaign. 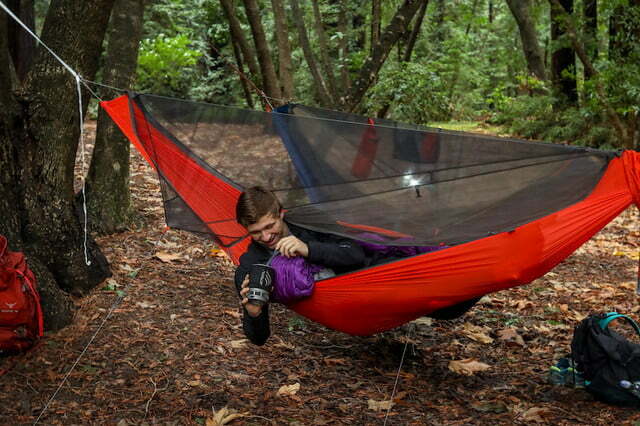 If successful, the new hammock — and its ultralight variant — will go sale in April for $229 and $259, respectively. Early bird supporters can reserve either version now at a substantial discount, however, with the regular Mantis on sale for as low as $185 and the UL model selling for $215. As always, it pays to understand the risks of pledging your support to any crowdfunding effort before deciding to plunk down your hard-earned money. Find out more about these two camping hammocks on the Mantis Kickstarter page.